The purpose of this 6-day course will be to expose students to a novel approach to multiscale modeling, based on an augmentation of the Andersen-Parrinello-Rahman (APR) formulation of molecular dynamics (MD) that enables concurrent molecular-continuum simulations. The APR formulation of MD is characterized by the decomposition of particle velocity into the sum of a streaming velocity, determined by the cell deformation rate, and a thermal velocity. The introduction of collective degrees of freedom affecting simultaneously all of the particles within a computational cell lends itself to a seamless coupling with continuum mechanics, hinging on the idea of identifying MD cells with infinitesimally small pieces of a continuous medium. Adopting the APR formulation of MD, revised with a view to concurrent molecular-continuum simulations, allows for a substantial improvement on the available multiscale methods. The fields entering the continuum description are adequately sampled at an array of positions (not unlike the Gauss points in a finite-element model), whose typical spacing H is many orders of magnitude greater than the average intermolecular distance d. The reference size h of the MD cell associated with each of these macroscopic sampling positions is, however, large enough with respect to d to allow for a decent molecular sampling, and still much smaller than H: H>>h>>d. The molecules in each cell interact directly with each other while being indirectly affected by those in the other cells via their collective degrees of freedom, as governed by the balance and compatibility equations of the continuum field theory. In turn, the constitutive relations that characterize the response of the medium arise as properties emerging from molecular dynamics. 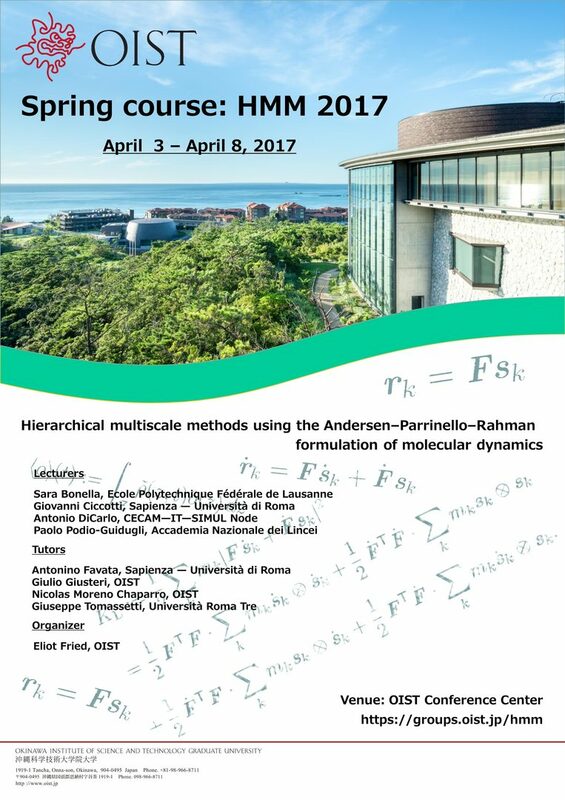 Following a review of the APR method, the course will focus on a detailed development of the APR-based hierarchical multiscale method. Aside from three hours of classroom lectures, each day of the course will include tutorial sessions in which examples will be presented and students will have opportunities to ask questions. 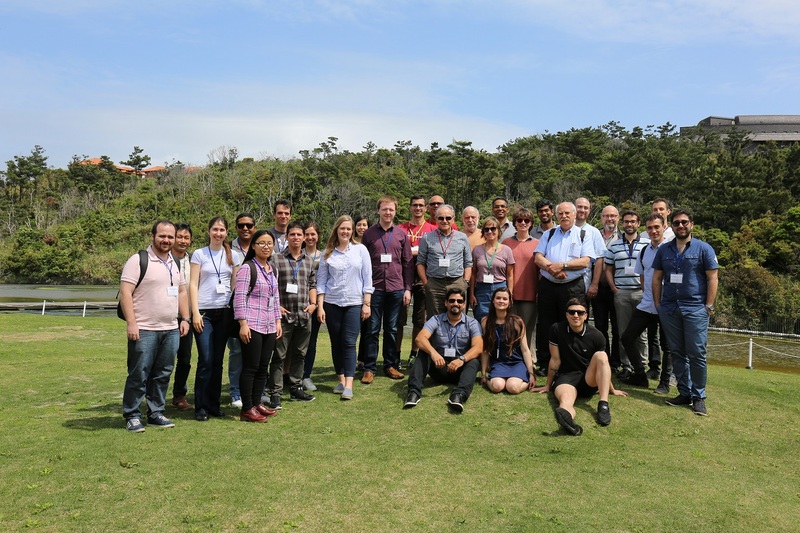 Additionally, from the second day onward, the course will include practical training sessions in which students will implement and apply the APR-based hierarchical multiscale method. The tutorial and practical training sessions will each be for a minimum of two hours. The lecturing duties will be shared by Professors Podio-Guidugli, DiCarlo, Ciccotti, and Bonella. Application now closed. Thank you very much. There is no registration fee. OIST will handle the logistics and cover the cost of twin-share accommodation at Seaside House and meals for all student workshop participants. OIST will also help with arranging visas when necessary. A reasonable number of participants will be offered full financial travel support.